The edible place is a shared garden managed by a community of urban people who wanted to have their own green place to grow vegetables together. They met during the 99% strikes at Zuccotti Park where they started to share some food and then a lot of talking. When the park got evacuated, they didn’t want to just go home like nothing changed and after even more talking, they found a place at the top of a building where they could put dirt and grow things in big pots or other less common stuff. They don’t know much about gardening but are willing to try and learn anyway. They know they can find a lot of things on the internet. They all work in offices and have access to it all day long… One of them, Shadina, after a few searches on the internet found a blog post about a new web application called dibber. She shares it on Facebook with her edible place friends. Within 10 minutes she gets enthusiasm answers from them and after 5 more minutes, Rene already found that tens and tens of other places like theirs already exist in NYC and around and are on dibber! It doesn’t take much more time for them to register too and start drawing how their “edible place” looks like in it. After a few tries, they’re happy with the result and add more information about what they’d like to do, with wich technique etc. Rene’s already connected to the other community gardens he found earlier and tries to pick up good ideas from them. One seems great to him and he wants to try it out. Another community is trying to grow potatoes in big bags. Less horizontal space taken and more vertical! Awesome for an urban area! He proposes to do this to the others who totally agree with him. He adds that information to dibber saying that he will make that tomorrow night. Shadina also puts there that she’ll join him in and proposes her help so they would do that together. That’s even more dirt to bring up there after all! 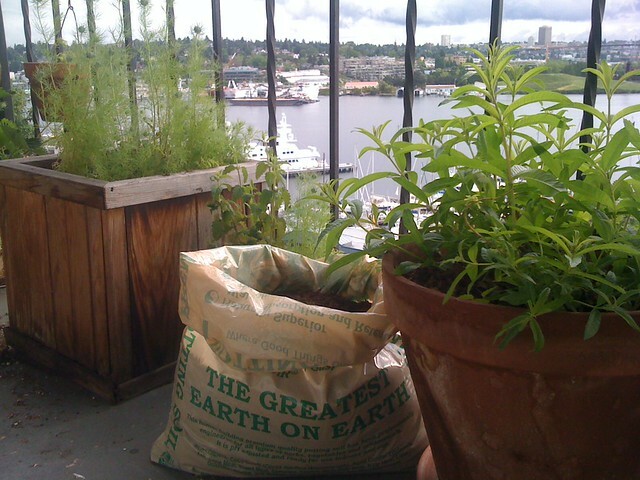 Here comes the day after, Shadina and Rene already brought some potatoes, bags and more dirt to the roof. They’re swetting… a bit, but happy to start that new experiment. Shadina takes her cellphone and opens her dibber app where she says they are ready to start. They receive answers back from their friends who couldn’t make it this evening to encourage them and say they can’t wait for the pictures! They start to get their hands dirty and make it happen the way they saw it on the other community garden on dibber. Everything is going well, they add the last layer of potatoes, add more dirt and then water it a bit more. Rene takes his cellphone takes a few pictures of the bags with the sunset in the background and, as promise, shares it on dibber. Both of them are resting a bit now, drinking some juice and enjoying the view while receiving congratulations from their friends… and, surprise, from some of the people of the other community garden they took the idea from! This entry was written by Jérémy the Tuesday August 21st, 2012 on 12:29 PM and is filed under What's dibber ?. You can follow any responses to this entry through the feed. You can leave a comment, or trackback from your own site.